The officials serving in China’s provinces have a saying to characterize their relationship with Beijing: “The sky is high and the emperor is far away.” This ancient adage means that officials customarily have plenty of leeway to conduct their business and implement the policies that are passed down from on high. Change is afoot, however, as President Xi Jinping continues to tighten control over the provinces. For China’s local officials, the emperor is now in their backyard. Xi has centralized power by leaps and bounds, cracking down on recalcitrant local officials not following the “rule of law” and the Party line. In the year and a half prior to October’s 19th Party Congress, Xi reshuffled over half of all provincial level officials, maneuvering his people into key local positions. This aggregate number belies deeper changes at the highest level; nearly 75% of provincial level Party Secretaries are fresh-faced circa 2016. More direct interventions involved the deployment of inspection teams to the provinces to ensure central policies on issues are implemented. The legal system was streamlined and organized on a regional versus provincial basis , and several new mega-regions for economic development were announced, including the famous JingJinJi region encompassing Beijing, Tianjin, and Hebei. This region will house the administrative functions of the capital in Xiongan. Further, the nets of Xi’s much-publicized and widespread anti-corruption campaign have snagged more than 1.3 million misbehaving Party members, including many in the provinces. This national anticorruption effort was institutionalized at the Party Congress and will be expanded nationwide with supervision commissions in each of the three levels of local governments. These actions and others were part of a broad effort aimed at reducing provincial influence and attempting to ensure greater compliance with Beijing diktats. The Party Congress saw Xi double down on these efforts. He announced the creation of a new Leading Group: The Inspection Committee at National, Provincial, City, and Council Levels, which institutionalizes his policy inspection teams and sends central level officials into the provinces to conduct full-scale compliance reviews. The message is clear: the emperor is not so far away. These Leading Groups are the most powerful policy-making vehicles in China. They bring together relevant policymakers from the Party and government to tackle discreet issues and develop policy “recommendations”. 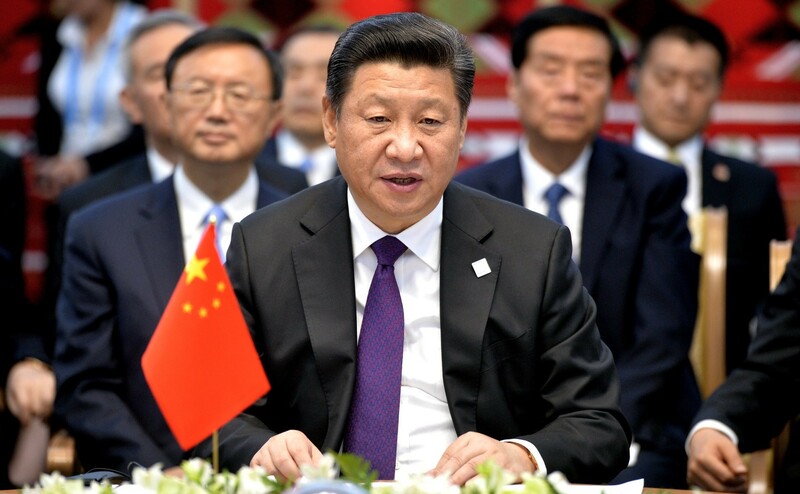 Xi also has placed allies in all municipalities under central control (with provincial level status): Beijing, Shanghai, Chongqing, and Tianjin. Historically, these key provincial postings have been a stepping stone for China’s future senior leaders. These positions function as a key step in one’s journey up the Party ladder, often indicating whose political stars are on the rise. Traditionally, for example, the Party Secretary of Shanghai is elevated to the Standing Committee. Will Xi be successful in his assertive approach to age-old center-provincial tensions? That remains to be seen, but he certainly has thrown more at this challenge than any predecessor since Mao. This is a disheartening sign for anyone looking for a more inclusive, less centralized political process in China. On the other hand, there could be an upside for companies – domestic and international – conducting business at the provincial level. Greater central level control could chip away at the enforcement challenge bedeviling foreign companies, many of which often struggle with local officials’ uneven enforcement of central policies. The weak enforcement of intellectual property rights – a central issue to the U.S.-China relationship which has sparked the 301-investigation under review – could be meaningfully addressed with a more centralized structure. The friction between central authority and regionalized autonomy is a feature of any system of governance. As always, the sheer scale of China’s population, geography, and political apparatus seem to raise the stakes. 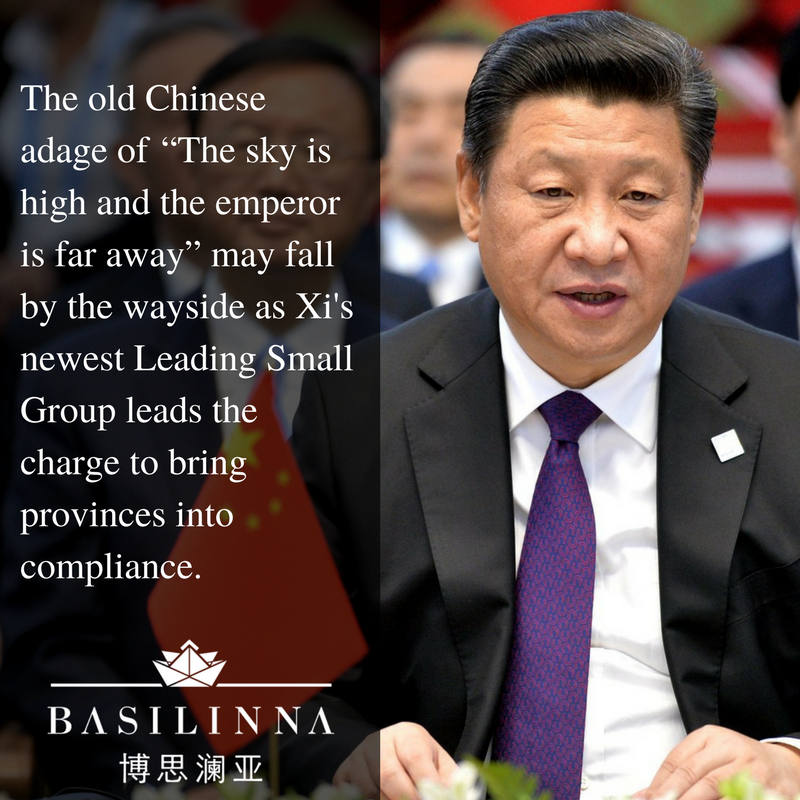 President Xi has made clear his approach to confronting the challenge, and his greater emphasis on central Party control has been adopted as the law of the land. Time will tell if this strategy will be the necessary jolt to break up localized empires. In the meantime, expect the new Leading Group to be leading the charge on center-provincial policy compliance.